YEREVAN, NOVEMBER 16, ARMENPRESS. ‘Father of the iPod’ Tony Fadell, who received Armenian Presidential Award for IT, announced in Yerevan that he has heard a lot about Armenia’s IT field and maybe someday he will make an investment here. “Over the past 25 years I have heard a lot about the information technologies field of Armenia. Wherever I go, including here, I’m looking for smart people and meet with them, tomorrow as well I will have such meetings. In terms of my investments I have no restrictions, so maybe. I have heard about an interesting company here which receives energy from garbage and waste, we will also consider this, it’s interesting, let’s see what will happen, who knows”, Tony Fadell said during the meeting with the ICT community and students in Yerevan, in response to the question of ARMENPRESS. 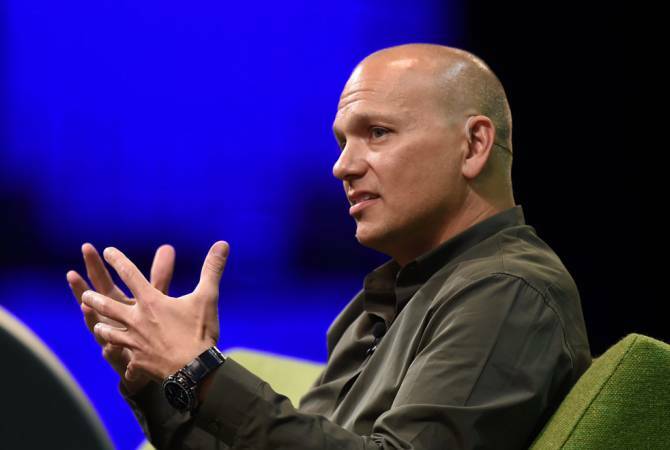 Nest Labs founder and iPod brand creator Tony Fadell has received the 2017 Armenian Presidential Award for global contribution in Information Technologies. He has arrived in Yerevan to receive the award from the President.